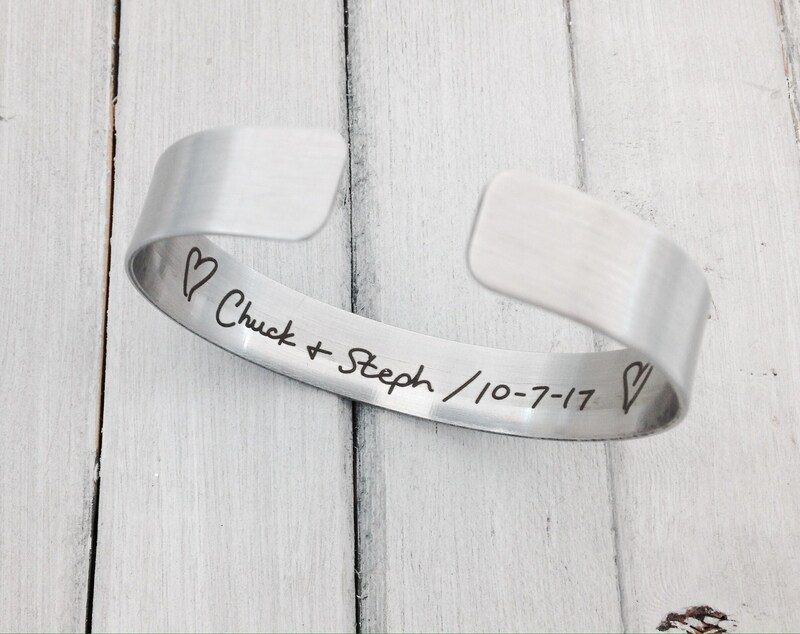 From husband and wife to mother and daughter, we have paired our two must popular cuff options into one set. These raw material cuffs have a perfectly simple design, yet stylish enough to complete any look. Hypo-allergenic, tarnish free, no chemicals or dyes. 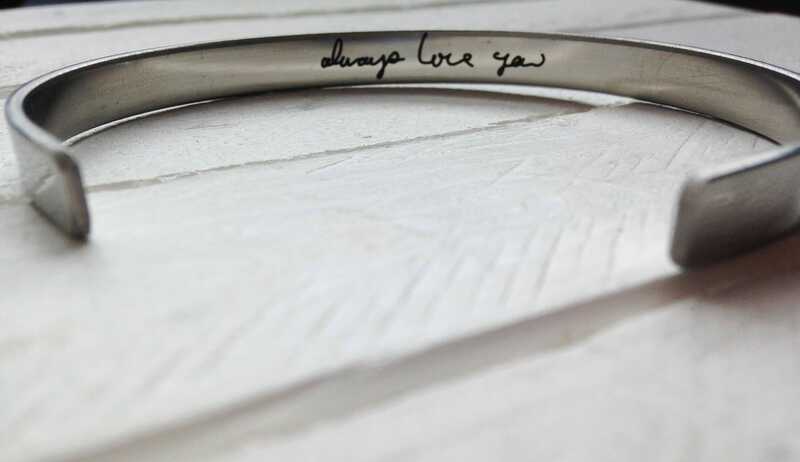 Perfect to layer with other bracelets. Laser engraved precision, made to last and won't rub off. 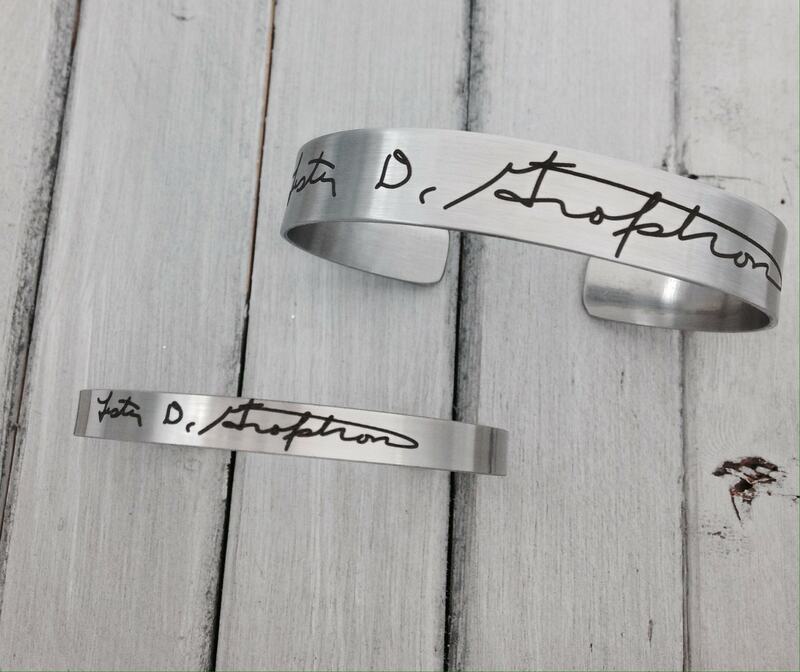 Etched on two stainless steel polished cuffs. 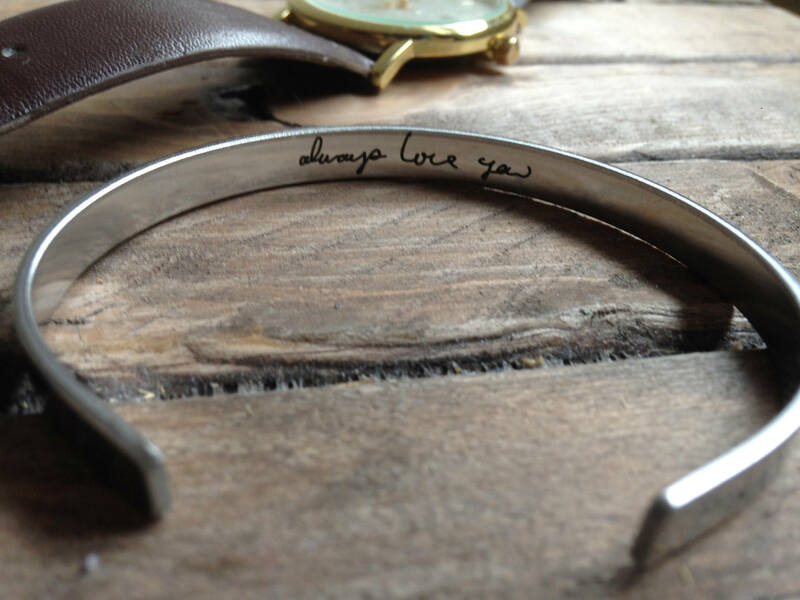 These bracelets have passed durability tests and will last a lifetime. Measures: 6" x .25" & 6" x .50"
*Engraving Layout Price Option is for identical matching engravings only. 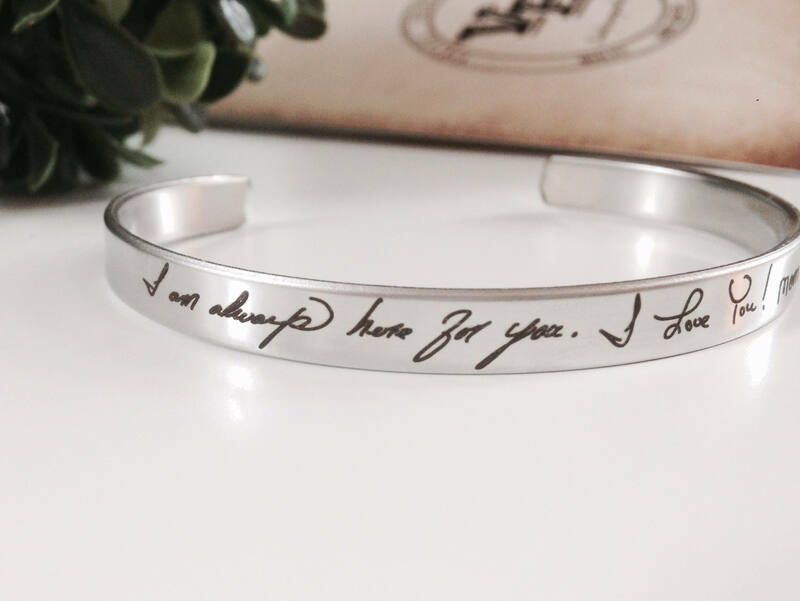 For different engravings, please purchase our cuffs separately. 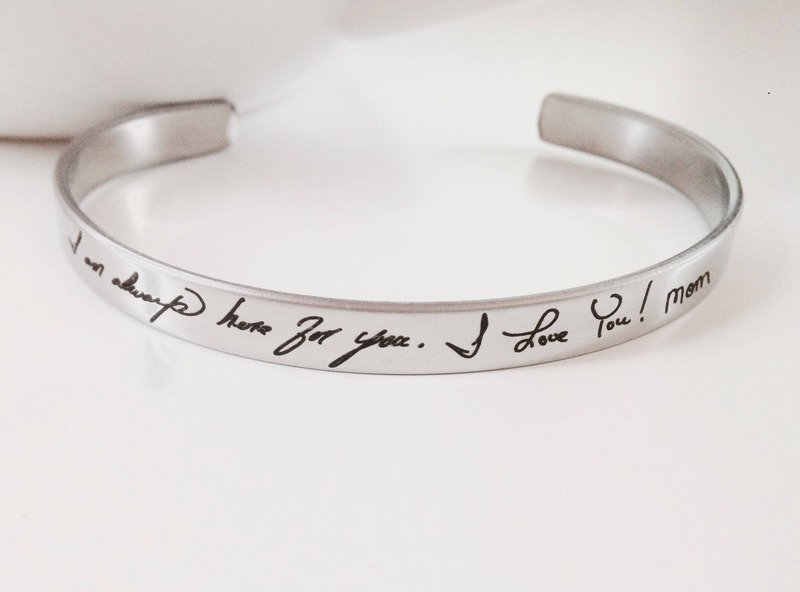 You have the option of choosing your own personal message to be engraved on the inside, outside, or both. Get creative by using ones own personal handwriting. 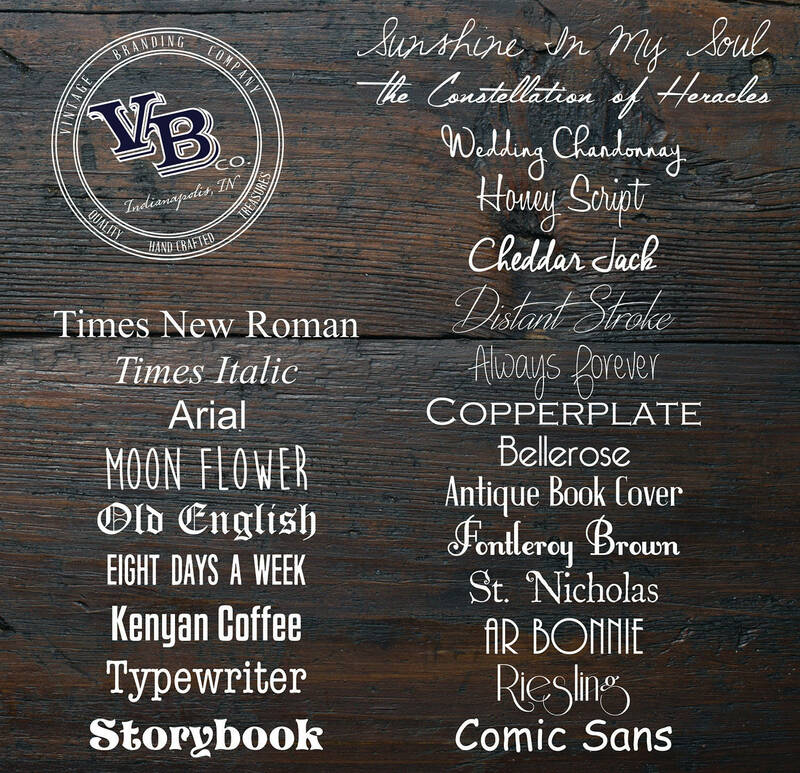 Choose a Font from our font list above or replicate your handwriting (HW) by choosing the HW Engraving Layout Option. Details should be added in the NOTES section at checkout as to the exact engraving you would prefer- as this will clear up any misconceptions. If you would like the arrow design, please choose an outside font option and let us know you would like the arrow graphic in the notes at checkout. Character count recommended is within 30-40 characters (not including spaces) for best legibility. Please be sure to choose the correct Engraving Layout above before purchasing, as additional cost may apply for custom orders. Discounts available for multiple quantities! 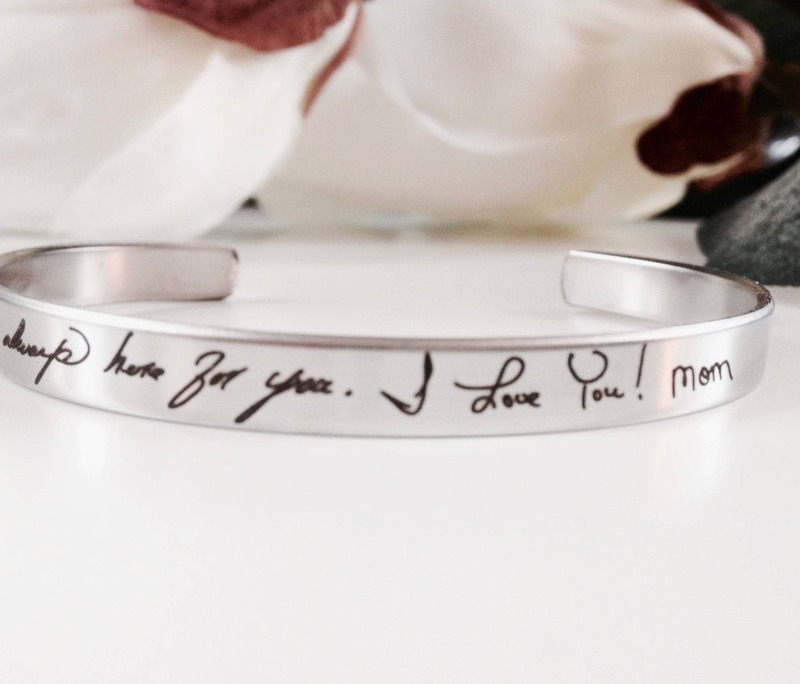 In order to use your own Handwritten image for your order, please click on the “ASK A QUESTION” link near the top of the listing. From here, simply click on the camera icon to attach the image you would like to use for your order. Your image will automatically connect to your order as well as any conversations posted within. If you are a perfectionist, please feel free to purchase a digital proof. 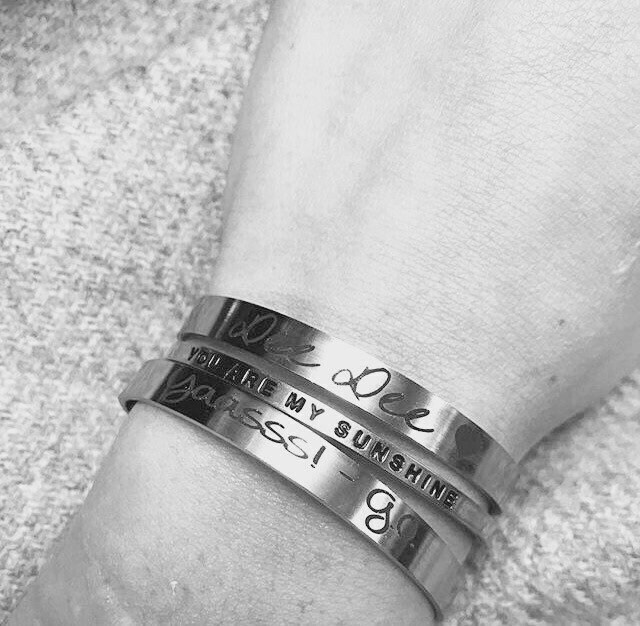 Once purchased, we will program your piece, sending you a proof to approve before engraving. 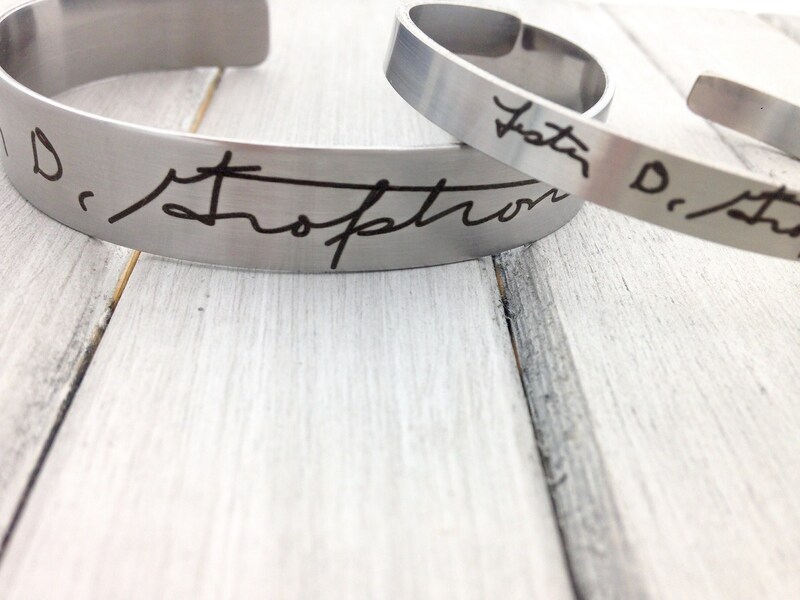 Please note, this can slow down our engraving and shipping process, depending on the time it takes for your approval as well as require extra programming. Custom BULK orders will not be subject to a proof fee. COPPER: Will oxidize overtime. Depending on how it is kept and the oils in one's skin, conditions can accelerate this process. Copper wear is seen as a character trait and not a defect. Although, can easily and quickly be cleaned to its original shine with a Salt and Lemon Juice mixture. Let to soak for a few seconds. A gentle cleaning cloth can be used after the fact. (see our add-ons and upgrades section) Please be sure to remove the lemon juice mixture before wear, as this can irritate the skin. A zip lock bag with anti-tarnish tab is included with your purchase for storing your cuffs. For best results, dry cuff before storing, keep an air tight seal, and replace tab every 3-6 months. For multiple orders of the same product and engraving, we gladly offer discounts. Message us for more details and coupon codes. We do offer wholesale as well!